I wear a lot of hats, and it keeps me juggling to remember which one I should be wearing and where I laid it down, LOL! At my age, I should think of retiring, but that’s not going to happen anytime soon. I love what I do too much to quit. So what do I do? I’m a wife of over 40 years, mom to two awesome grown and married kids, grandmother, horse lover/rider, gardener, writer, publisher, and very recently, an author with a made-for-TV movie. That doesn’t sound like much, does it? First, my writing: I started in 2005 when the Lord dropped a word into my heart via a visiting pastor who prayed and told me he believed I should be writing and it needed to be published. The idea had never occurred to me before that, even though I was a prolific reader and enjoyed letter writing. Fiction was the furthest thing from my mind. Fast forward a few months (after praying), and I had several magazine articles written and accepted for publication, and an 80,000-word book written. That book released October of 2007 and was the first of 25 in the 11 years since then—historical romance, contemporary, and middle-grade horse novels. In 2013 I discovered that things were changing at David C Cook. I’d had 6 books release with them, and one more yet to release, when they made the decision to discontinue fiction. They published my final book, but that was it. I was without a home, and a bit shocked, as I loved my time there and had hoped to continue. But when the Lord closes a door, He often opens a window. We don’t have a lot of time here, but that closed door led to starting a publishing company for other disenfranchised authors who’d lost their home. That was my first thought, then I started realizing many houses were closing their fiction doors. There was excellent fiction being written by debut authors that might never find a home. I expanded my vision, and Mountain Brook Ink (MBI) was born. A close personal friend, Kimberly Rose Johnson, lost her publishing home a couple of months prior to my starting MBI, when Heartsong closed their doors. She graciously decided to take a chance with me. Now, 4 years later, she has 7 books with MBI and a new contract for three more. We have several authors who took a chance on us that first year, and they’re still with us. We’re so grateful and thankful for God’s blessings along the way. One thing that stood me in good stead was already having my foot in the publishing door. Romantic Times knew my name from reviewing my books, so we were able to have our authors’ books reviewed. Christian Book Distributors (CBD) carried all my books, so after working with their sales rep for a couple of years, they decided to carry all of MBI’s books. We put our books into Ingram, meaning our books can be purchased at any book store that uses Ingram/Spring Arbor as their distributor, including brick-and-mortar stores and online. I also have a strong sales background, as that’s what I did in my ‘former’ life “BW”—before writing. I understood the need for a publicist, but I couldn’t afford to hire someone with the know-how to get the books out there. I decided I needed to put out feelers and see if I could find a young, ambitious, go-getter who wanted part-time work and was willing to be trained. The Lord sent me Nikki. I spent the first year training her to understand all things publishing—thankfully, she had already worked promoting authors via social media and building websites and blogs. That was a huge step up. I added the rest, and it’s been fantastic. 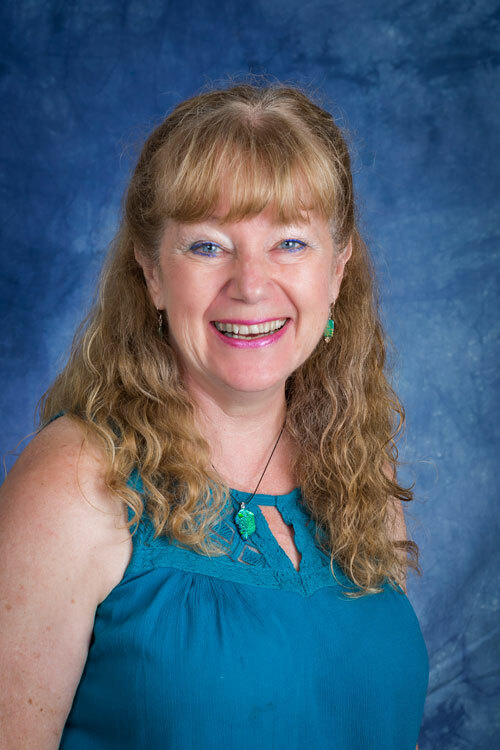 Nikki works closely with our authors, adding them to our website, rotating the new releases on our home page, sending out a large number of press releases, sending the books to Romantic Times, Publisher’s Weekly, and Library Journal for possible review. She sets up Facebook release parties, blog tours, guest appearances on a number of blogs, as well as writing training articles, helping authors understand how to set up an author page on Amazon and Bookbub, and emphasizing the importance of a newsletter. We purchase ads on a variety of spots when a new book releases, help our authors build reviews, and so much more. It’s a never-ending journey to discover what works, and we do our best to put those tools in our authors’ hands. One of our accomplishments that’s brought us a number of new authors and agents is the Lord’s work in connecting me with a Hollywood producer. That was a miracle—the producer had read three of my Love Finds You books. They were making the Love Finds You movies at the time and wanted to expand. That didn’t end up happening, but because she loved my work, she asked me to work on a made-for-TV project where I’d write the book and they’d make the movie. I was given a three-sentence synopsis and Runaway Romance grew from that. She and I brainstormed on the phone a couple of times, and I added an additional thread to the book that didn’t make it into the movie. As we built a trust relationship over the past three years, she allowed me to pitch an occasional book. So far, they’ve optioned three of my other books (one is in development and should be filming this summer) and two by my authors, Kimberly Rose Johnson and Angela Ruth Strong. We’re praying those come to the screen, as well. Yes, I wear many hats—we hire a graphic designer, but I give input on covers. I work directly with our authors—training/coaching, answering questions. I do a lot of editing and proofreading, troubleshoot, go to conferences, acquire new fiction, upload books to online vendors...and so much more. It’s a lot of work, but we’re putting out exceptional fiction, which is a reward all its own. We’ve had several of our books final or win awards, and our little company has been represented at four different west coast writer’s conferences, as well as gaining visibility with several agencies. One agent made the comment that we’re the best small press available to authors today. I honestly don’t know if that’s true, but it was a kind thing to say—I’m guessing there are other small presses that are just as good or better, and possibly this agent hasn’t come in contact with them yet. So, I’d love to know—have you ever wanted to write a novel? Are you writing one now? Do you have one finished—or maybe two or three, and don’t know what to do with them? Do you have a plan worked out, or are you hoping something will ‘just happen?’ Trust me, that’s not likely. The best advice I can give you is educate yourself. Go to writer’s conferences. Get involved in a strong critique group. Don’t simply hope. Work. Study. Show yourself a workman who need not be ashamed. Hone your craft. Find ways to make it shine. Purchase a Christian Writer’s Market Guide if you’re writing for the Christian market, and study it. Start small. Submit to magazines or online publications first and grow your resume. Get a social media presence going, especially a newsletter, as that’s critical to landing a contract. And most of all, write a good story—one that makes your heart sing, and one you know the Lord has given you to write, and you won’t go wrong. 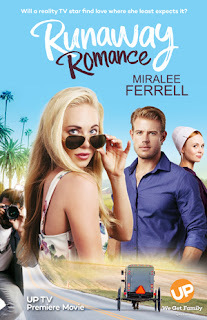 Miralee is offering a signed print copy of Runaway Romance to one winner today! Please let us know in the comments if you'd like to be entered (U.S. entrants only for this giveaway). Author Bio: Miralee Ferrell is a best-selling, award-winning author of Christian fiction with 21 books in both historical and contemporary in print. She’s a certified lay counselor as well as the publisher at Mountain Brook Ink. She loves country living in the Pacific NW with her husband Allen, her two dogs, two cats, and eleven chickens. Welcome, Miralee! We're so glad you joined us. I've brought some decaff coffee and tea for those of us visiting after midnight. I love the intelligence and skill and determination you brought to climbing through that window!!! Thank you, Missy! I put in a lot of hard work, but it's truly all by God's inspiration and leading. And by the way...I'm on the West Coast, so you early birds got a HUGE jump in me! Miralee, what a great story. I've had a couple of doors close for me lately, one BIG one, and I'm hanging on for dear life. But I'm hanging on to God. I do have a contract for my first book and am trusting the Lord for where to go from there, it is a roller-coaster ride without Him. Kathy, I'm sorry about the closed doors! But I'm still thrilled about your contract. We'll look forward to whatever happens next! Hi Kathy, a contract is definitely something to celebrate! That's awesome! May I ask if it's fiction or non, and what genre if fiction? In looking back over the years, I've been able to see that sometimes when those doors close, it's a blessing in disguise. It might take months or years to find out why, but God has it in control. Keep trusting! Good morning, Miralee and good morning, Seekerville. Coffee and tea are both on. Miralee, I am in awe of all those hats. Wow! But you are so right about God opening windows. We just need to trust that they're there. Mindy, that's so true about trust. Hi Mindy, I must admit, sometimes I have a hard time juggling them all. I used to push myself and work off and on through the weekend, or very late at night. Now I'm pacing myself and taking time off for me. I realized if I don't, I'll dissolve in a heap and I won't help anyone. Hi Miralee, I'm constantly pulled toward your interviews and your website because of your interest in horses. I'm a life long horse woman and even though I've retired from the public venue I'm blessed daily to be outdoors with my guys. I blog about horses, mostly to help riding instructors. And I'm writing my third contemporary romance involving horsewomen. 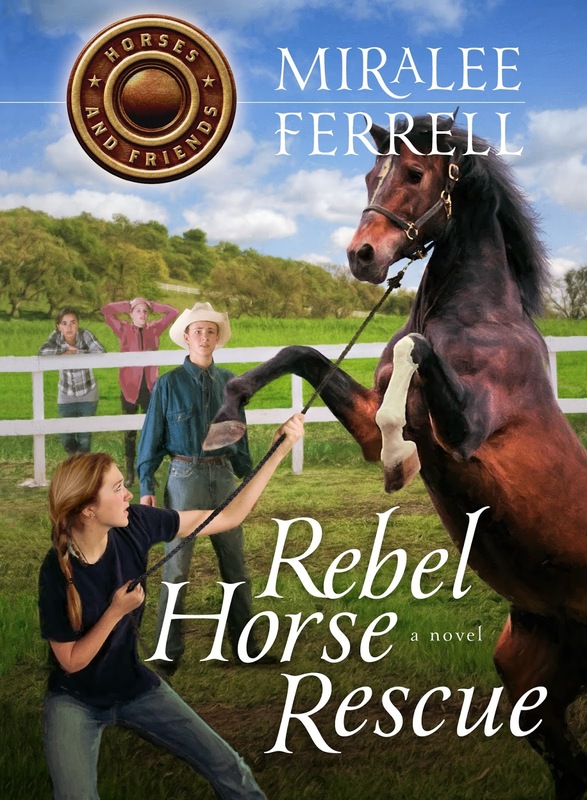 I love all of the stories but this one is special to me because it involves wild horses and my personal horse, Reno, is a former wild horse. Most of my critique partners have had nothing to do with horses. They've taught me how to write for people who aren't familiar with the equine terminology. I love when they make me simply the technical. Next month I have the opportunity to talk with an ACFW chapter about horses for writers to help with some of the pitfalls I find when I read and also to clarify the styles of riding for particular time periods. I love what I do and I consider my steps carefully. I wanted to say hello to you as another horse lover. I hope with your busy schedule you find opportunities to ride or spend time around them. It's the best stress reliever, especially now when the weather is lovely. Blessings and thank you for telling us your story. I'd love to be entered for your book, too. Barbara, that's wonderful that you're such a great resource person for writers! And so nice that an ACFW chapter is having you speak. Congrats on that speaking engagement! Hi Missy, It's going to be fun to dust off my teaching skills and talk horses! Hi Barbara, I'm so glad you chimed in here! I'd love to know what kind of horse you own? I've had Arabians most of my life, and yes, I still ride frequently spring through fall. I hike with my daughter in the winter when the snow isn't too deep, to get my exercise. Horses ARE a huge stress reliever. I used to just go to the barn and brush one of my mares when I was upset or stressed, and it helped so much to have that alone time in the barn. That's great that you've been asked to speak. Way to go! Like you, I often weave horses into my books. Some way more than others, but since it's a life-long passion, they tend to show up...and yes, I've also been a resource for other writers, and now for my own authors we publish who occasional work in horse material. Hi Miralee, thank you for your nice response. I trained and showed Arabians for a long time, also hunter/jumpers. Thoroughbreds and Arabians were always my favorite and as a fellow Arabian enthusiast I understand relaxing through grooming. We adopted my mustang after my favorite horse, a mare from Poland, died at 29. He doesn't love grooming but he puts up with it for me. Blessings. I've had Arabians that didn't love grooming, either, but it still helped me. My daughter had a Thoroughbred for years that she took dressage lessons on, but mostly she enjoyed trail riding. 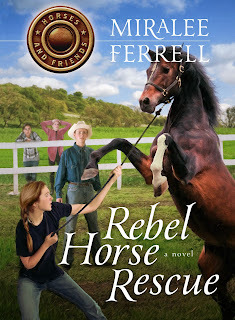 My horse background served me well when writing my Horses and Friends series for middle-grade kids. I appreciate you chiming in again...and how cool you got to adopt a wild mustang! Welcome to Seekerville, Miralee! This is all so fascinating the way God has led you and opened the doors to so many other authors! Miralee, I love how you took your gifts and connections and started a business to help other authors. I'm glad the venture has been so successful! I would love to hear more about your venture making a TV movie! Thank you, Glynna and Missy. Glynna, my mom had a cousin with your name. Unusual and so pretty! Yes, if God hadn't led me, little would have gotten done. I'm not sure what I'd have been doing, but I don't think it would be writing, publishing or movies! Missy, do you have a specific question about the movie venture? Miralee (YOUR name is so pretty, too!) -- I know I would have loved your horse books when I was middle-school aged! (Horse crazy from birth.) I had a beautiful buckskin Quarter Horse in junior high / high school (rode western); then when I was in my late 20's I took several summers of riding lessons (English) at a college stable Missouri. Good morning Miralee and Seekerville! Wow, Miralee, you certainly wear a lot of hats! 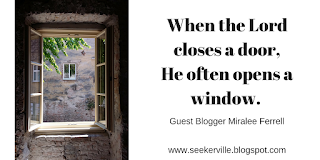 You are right about God closing doors and opening windows...we need to trust and follow His leading through those open windows. As an avid reader of Christian fiction, I am glad you followed God's leading. I enjoy reading your books and the books of the authors you now publish. Oops, that should say...I have a copy of Runaway Romance. Tina, it's always so good to see you! You have been a blessing to me over the years as someone who faithfully reads and reviews my books. Your friendship has been so appreciated. I look forward to meeting and hugging in heaven, if not sooner! Oh, Miralee, you are so sweet! I cherish our friendship as well and hope to meet you in person, but if not here then in heaven for sure! Thank you Missy. I often ponder the way God uses authors' of Christian fiction to "speak" to me/us at the very moment I/we need it most. It is like He planned that all along...I am sure He did. The Christian fiction authors I know and follow, see their writing as a ministry to point to Jesus. I for one, am very glad and blessed to know them. You have been part of my street team for so long, and your friendship and support has been a treasure. Hugs! I am in awe of how you have moved ahead in your many careers! I love the way God has taken your talents and interests and brought them together in an intertwining stream that has advanced your own writing as well as many others. I'm looking forward to what is in store for the future! Thank you, Jan! I doubt I could have done much of this 20-30 years ago when my kids were young and still at home. We go through different seasons in our lives, don't we? Some of these talents I didn't even know I had, until God plunked me down in the middle of this. And I'm glad I started small with writing magazine articles, then a book, then book after book, then publishing, then movies. Had it hit me all at once, I would have been overwhelmed! I'm SO thankful to be in the phase of my life I'm in now. Publishing other authors' books. I'm very (mama) proud of my authors. Everyone of our books is unique and touches lives in a different way. You know, I've read books sometimes that really speak to me about something I'm struggling with in that moment. Sometimes, the book could have been written years earlier or could have been sitting in my to-be-read pile for quite some time. It's amazing how God can use those stories right when I need them! Have y'all had that happen before? Or have you ever wondered if God postpones your book's publishing for a reason? Missy, I totally agree with you. I still get reviews and letters for my very first book, The Other Daughter, (which I BADLY want to rewrite), saying how much it helped someone right when they needed it. It was truly a book of my heart in many ways. Some of the writing craft is weaker than my more recent books, but that's typical with a debut novel. But God knows exactly when that book, or others, need to be read, and He puts them into the hands of the people who need them. I truly see writing and publishing as a ministry. If God blesses it financially beyond that, wonderful. Interesting post, Miralee. As someone working on my first book, I will keep this in mind. Please enter me in the drawing. Sandy, it's so good to meet you! May I ask what you're working on? Fiction or non-fiction? And what subject if non, and what genre if fiction? Congratulations on starting!!! So many people will say they wish they could someday write a book. You're doing it! Miralee, I am writing a fiction book. I guess it would be called women's fiction. It has several POV characters and concerns a tornado that wipes out a town and especially a beloved church and how the characters overcome the tornado. Ah, so fiction then. It sounds like maybe women's fiction? Issue driven, rather than a romance or mystery? I wish you all the best as you work your way through the manuscript! Hi Miralee and thanks for visiting Seekerville. As a writer of primarily historical romance, I have been a little disheartened of late that historicals seem to be losing popularity, at least with publishing houses. I know you write historicals and I see that Mountain Brook Ink publishes those too. Do you see any trends in historical romance that make it seem as if this genre is losing popularity? I am very interesting in submitting some of my books to Mountain Brook Ink for consideration and I hope to hear that you are actively seeking and publishing historical romance. Thanks again for being with us in Seekerville and for sharing your enlightening post. Cindy, thanks for your question. I look forward to hearing what she says. I'm afraid you nailed it, Cindy. Whether it's movies, TV shows, or books, historical is waning. However, that doesn't bother me. I look at the story and what the writer brings to it. We've published or are in the process of publishing several historical romance series...and one coming up that's a straight historical, no romance. I personally believe there is still a need. There is still a segment of die-hard-lovers of historical novels, who would be very disappointed if we went to only contemporary. Yes, we tend to take more contemporary romance novels because they do sell better, and we want to keep the bills paid and the doors open, but as a writer of historical romance myself, I'll never shut that door. Personally, I love historical romance! Good Morning, Seekerville and Miralee! I LOVE hearing about your journey, Miralee. SO cool to see how God works for our good behind the scenes. Congratulations on all your wonderful accomplishments! I'm blessed to be one of MBI's authors and I so appreciate you ~ Excited to see what the future holds! Cynthia, it's wonderful that you're with MBI! I love that you're happy with the experience. Hi Cindy!!! So good to hear from you! I love when one of my author's stops by. Cindy is writing a wonderful contemporary romance that I wanted to rush through on the first reading, as I was enjoying it so much. I'm tickled I get to start Cindy's edit soon and get to read it again. Yay! We appreciate you too, Cindy. I'm just getting woke up here on the West Coast...been up for an hour and have a cozy first built. Three days from now we're supposed to hit upper 70s, so no more fires then, so I'm enjoying one of our last ones for the spring. I'll be out for a little while. Having lunch with a friend. I hope y'all will continue to make Miralee feel welcome! Have fun, Missy. Thanks for holding down the fort until I crawled out of bed. You must be on the east coast. I'm about to eat breakfast and you're leaving to have lunch. :-) I feel very welcome now. Thank you! How nice to be able to sit outside for lunch! Once it gets warm enough for that here, we have yellow jackets not long after, which can be a real pain when trying to eat! Good morning Miralee! I admire your ability to bring all your talents together in starting MBI and turning it in to such a powerhouse. I would also love to hear about the process for turning a book in to a made-for-TV-movie! Do you have any input in to the casting or the scriptwriting? No need to put me in the draw for the book as I'm in Canada. I'll just have to buy my own copy :) ! Hi Laurie, thank you for joining us from up North! I do have a little input in the script but only very small points. The producer and director both know exactly what will work on the screen and within the timeline, both things I'm not as educated about, so I defer to them on most things. I do push if something is important to me, like not changing the names of my characters, not putting in Oh my God in the script (which they took out when I requested that), if they change something where there is a strong believability factor, ect. If you were to win, I might be able to send you a Kindle copy instead, if that would be acceptable? Blessings! Great post, Miralee! Thank you so much for sharing! Miralee has been great to work with. I love her energy and transparency. I don't know how she wears all these hats, but she wears them well! Thank you, Angela!! I love what I do, and that helps me a lot to juggle. Angela, we’re so glad you stopped by! Also, Angela is another of our lovely authors! So nice to see so many stopping by today! Yes! I so appreciated your trust in me to take a chance on a new publishing house 4 yrs ago, Kimberly! Thank you, Melissa! You have been such an encouragement and support for me and my books. Melissa, we’re glad you stopped by! Melissa, I also want to wish you all success with your own novel writing adventure!! As one of those debut authors you took a chance on, I can honestly say I praise God for your successes because I reaped the benefits. If you don't know Miralee, she is passionate about what she does and patient with those of us who still have much to learn. Thanks for being there, Madame Publisher. Pat, congratulations! We’re glad you stopped by. Pat, I definitely have a passion for helping my authors and sharing their amazing work. God has blessed me indeed! Miralee, thanks for sharing your story and for encouraging us today. Congratulations on Runaway Romance! If I start to feel discouraged, this will be a great post to refer back to. Thanks! Jackie, yes, this post was very encouraging. Thank you, Jackie. That's one of my goals...to bring encouragement as well as healing with my work. I'm so glad you stopped by! Wow, Nicki! You’ve accomplished a lot! Way to go, Nicki!! I'm guessing it must be either historical or spec fiction to be that long? I will warn you, that's a bit longer than most publishers want to take a chance on. Since it's only your first draft, I'm guessing you may find ways to tighten and trim. Let me know what genre it is, and blessings!! Ah yes, Nicki...it does need to be longer. I hope you hit a home run with this one! Keep in mind, though...the more pages the higher the price point for a print book. That's something we look at carefully. By the way! I should have said this earlier, Miralee. I really enjoyed watching Runaway Romance! Oh, thank you, Missy! It's great to hear you got to see it and enjoyed it. I had another full story thread in the book with a homeless woman that I felt added a lot to the story, but there wasn't time to include that. Oh my stars, I love all of your hats and your tenacity! You're amazing.... and how cool that you jump in, both feet, and get things done. Miralee.... Huge congratulations to you and a hearty thank you, not to just being here but all you've done in helping others achieve their dreams. That's simply wonderful. And I love seeing it! Thank you so much, Ruth!! Sometimes my husband sits back and shakes his head at how much I tend to take on and how hard I can jump, LOL! But I keep assuring him it is NOT stressful to me. If you truly love something, it's fun. Sure, there are occasional little stressors when I need to put out fires or make a difficult thing happen, but it's all part of the job, and I LOVE my job. I would love a copy! I also write contemporary Christian Romance novels and am voraciously reading everything I can. Lila, that is one of the smartest things you can do...read, read, and read to learn as much as you can about what works. Way to go!! Lila, we're so glad you came by! As a reader I always enjoy reading debut novels never know who the next great author will be. Very true, Kim. Just think...every best-selling, award-winning author started as a debut author at one point in their career! Kim, I love reading debuts as well as contest finalists. Usually some great reading! OOPS! That was me posting above, not Seekerville. The danger of forgetting to change google accounts! Thank you for sharing your experiences, Miralee. I've been encouraged by reading your post and the comments. Where do you find the time to do everything? I read your first novel and loved it and have many of your other ones too. Enjoyed watching Runaway Romance. An author would be blessed to have you as a friend and a publisher. Ah, thank you, Pat Jeanne, I appreciate that SO much! I truly appreciate your support in reading my books. That is awesome. Time? I carve it out one way or another. Sometimes it's staying up until 11 at night if I"m in the midst of an edit. But I seriously still DO have time for myself and my hubby, just not in long stretches, although I try to leave most of the weekend for him...and he goes to bed very early, so that helps. :-) I'm a fast writer and a fast editor, which also helps. Miralee, I wish I was faster. It's also getting harder for me to work late at night now that I'm older. When I was in my 30's and 40's, I would often stay up until the wee hours. Once again, that comment above is me, not Seekerville. Congratulations Miralee on starting your own publishing house. I'm anxious to read some of the books coming out of your "house". I would love to be entered to win a copy of Runaway Romance. Thank you for the chance. Thank you, Cindy!! You can find all of our books at www.mountainbrookink.com. And we have a FB group too, if you do a search for Mountain Brook Ink. We've had several award-winning novels and a couple of best-sellers, so we're pretty proud of our work. Wow, Miralee, you are an amazingly busy bee! I love how God opened that window and you flew out and made your mark in ways you never even imagined. Congrats on your successes. So well deserved! Hi, Pam. Yeah, and somehow I still find time for an hour walk 4-5 days a week...I just got back from a hike with my daughter for an hour, hence my later-than-usual replies the last few min, but I had to get my blood flowing again...too much sitting at the computer with all the sitting I do while wearing these 'hats'. Yep, the movies have been amazing... and a LOT of work. I'm afraid a 4-5 hr walk would probably do me in. I'm doing great to hike up and down hills for an hour or so, and cover 3 miles (lots of hills!). But I do love it and it helps keep me young...ish. LOL! Although I have been following your work from a distance (Virginia to the Pacific Northwest), I enjoyed reading this today. I would love to win the book. It was an enjoyable read and the movie was well done. Edward, we're glad you stopped by! Always great to see you, Edward! You've been a huge blessing to our company the past couple of years. Bless you!! Lovely to have you at Seekerville today, Miralee! Your story is inspiring and full of hope! Thank you so much, Erica! I agree...with God all things are possible, and He only brings hope. Actually, Arletta, you may be surprised to learn some of the best novels are loosely based around something that happened in the author's life, so I say, go for it!! Well, my lunch turned into a whole day out! I just got home a little while ago. Fun day! That's great! I'm so glad you had fun! Yay!!! I hope she aces that interview. How exciting!! Having dinner....will respond to everyone else soon. Thanks! Miralee, if I don't get back online tonight, I want to thank you now for hanging out with us today! Thanks so much for chatting and answering questions. And for your inspirational post! Thank you for inviting me and allowing me the time to visit with your readers. I'll be around off and on for another 2 hrs, so I'll be happy to answer anyone else who posts. Wow Miralee! I can't believe I've known you all these years and didn't know all this! Sheesh!!! I remember back when you had published LFYI Last Chance CA, and LFYI Bridal Veil, Oregon! The latter I still remember parts of and that's pretty good for this ol' brain. Enjoyed so much reading what is going on in your life. BTW I've met Nikki via the internet and she is a sweetheart! Debbie, thanks for stopping by! I've met Nikki (through email) and she's great! Hi Debbie!! Our company has SO appreciated you allowing a number of our authors to visit on your blog. You have been a blessing to us. Yes, I've been busy since the LFY books...and it was actually LFY in Sundance, Wyoming that brought about the contact for the movie deal. Thank you so much for stopping by! Miralee. I really enjoyed this insider look at how your publishing company came to be. How exciting to look back and see how God has blessed your dreams! It's an amazing story, isn't it, Karen? So cool! Thank you, Karen. It's also good for me to type it out...it helps me solidify the blessings in my mind. God is indeed good! Miralee, sounds like you are definitely a woman of many hats!! I’m not a writer (other than notes sent in cards, and notes as I review books). So keep on writing and publishing. Thank you for sharing your story of Gods work in your life. I’d love to win a copy of your book. Hi Anne, we very much value readers and reviewers! You are what keeps us going. Thank you so much for stopping by to visit. Missy, you mentioned having questions about the movie end of things...did you have something specific you'd like to know? I'm sorry I missed your question earlier! I was mainly wondering how involved you were. Did you go to the filming? Did you have any casting input? Wow! You really are a VERY BUSY lady! I love all the details you give in this post about how things work. It's a very eye opening read. I didn't know that David C Cook stopped publishing fiction. I would love to be entered into the drawing for Runaway Romance. Thank you for the chance to win a copy. I love your books. Thank you, Debbie! I'm tickled to hear you enjoyed the details of my post, and that it was helpful. Good to see you here!